Radiodhishum Bollywood Is everything OK between Sona & Pari ? 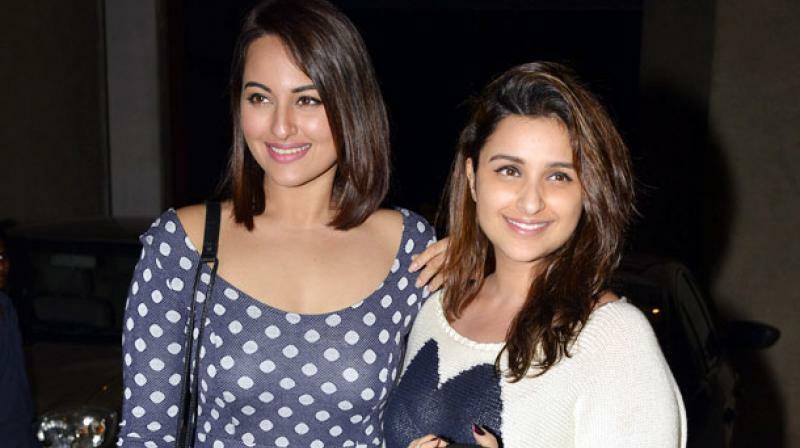 As per reports, everything is not OK between Sonakshi Sinha and Parineeti Chopra. A cold war has been started between the two actresses. Everything else isn’t going good among Sonakshi and Parineeti on the sets of ‘Bhuj the Pride of India’ which will release next year, in 2020. As indicated by the reports, they are not talking to each other well. As indicated by sources, this started when Sonakshi got her name credited as the lead in the film. The second actress Parineeti, didn’t liked it. She complained about it to production team as well. As per sources, Parineeti said that the two actress have a vital role in the film. So, it’s not good to get the credits of lead actress by anyone actress. Sonakshi Sinha is playing the role of a social activist Sunderben Jetha Madhparapariya who motivates local women to rebuild Bhuj’s single runway. This runway was destructed by Pakistan amid the 1971 India-Pakistan war. Parineeti is playing role of an undercover Indian agent of Heena Rehman. The film hero is played by Ajay Devgan who will play the role of Vijay Karnik, the in-control squadron leader of Bhuj Air Base. The role of Sanjay Dutt, Rana Daggubati and Ammy Virk in Bhuj is also important. Next Varun Dhawan & Alia Bhat will not work together?